FALL IN LOVE WITH YOUR BRAND NEW CONSTRUCTION HOME - READY NOW!!! 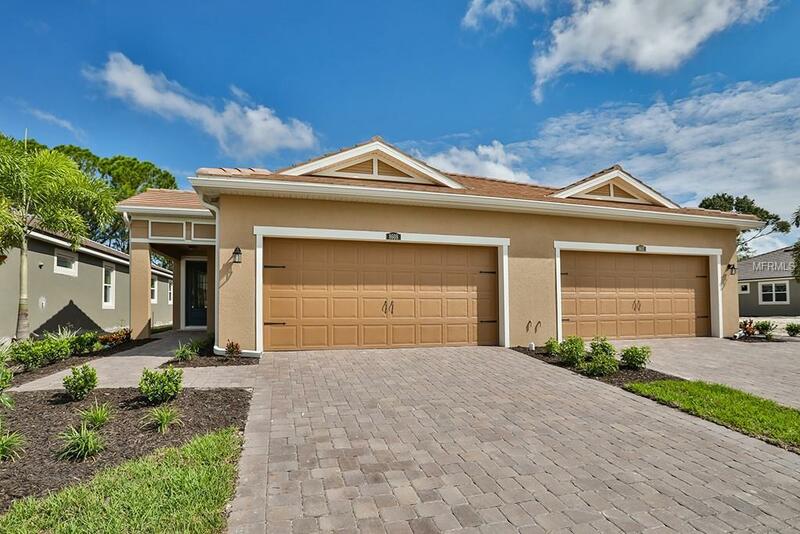 Amazing new community just off of Honore Avenue. 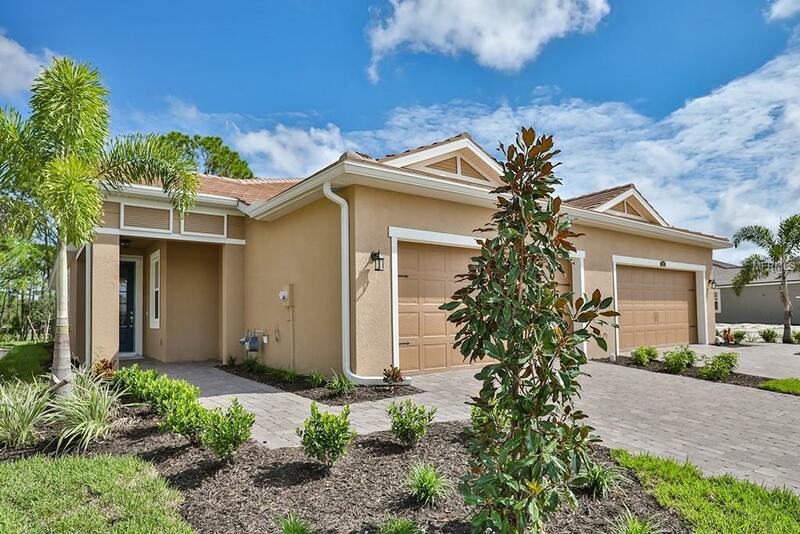 Split bedroom villa home offers maintenance free Florida living at its finest. This two bedroom, two bath home features 8 foot interior doors, Colonial baseboards, paver drive, walk way, lanai and offers a study. Open kitchen features 42" upper recessed panel cabinets, painted Stone with Crema Pearl granite counter tops. Cabinets include pull outs for double waste baskets, crown molding and built in fridge. Oversized 12X24 tile covers the kitchen, dining area and gathering room. Raised vanities and granite are features in both baths. Owner's Bath offers dual sink vanity, enlarged shower, linen closet and walk in closet. Oversized sliders lead outside to the paver covered lanai which offers outdoor living space. Front porch area has room for a bench or rocking chairs. 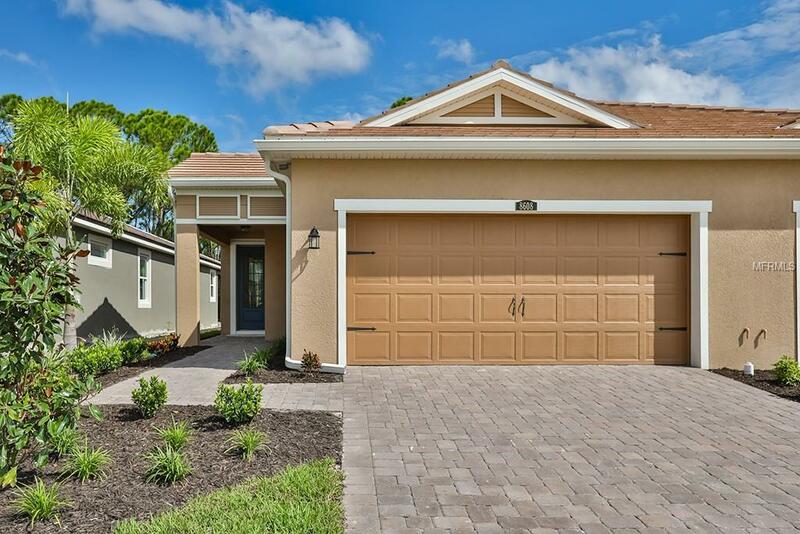 Located in a gated section of the community, this home offers other features such as tankless hot water heater, Ecobee4 Smart Thermostat, duplex usb port outlets in kitchen and owner's suite, 15 SEER A/C system, tile roof and more. Lawn maintenance and sprinkler system is included in the association fees. 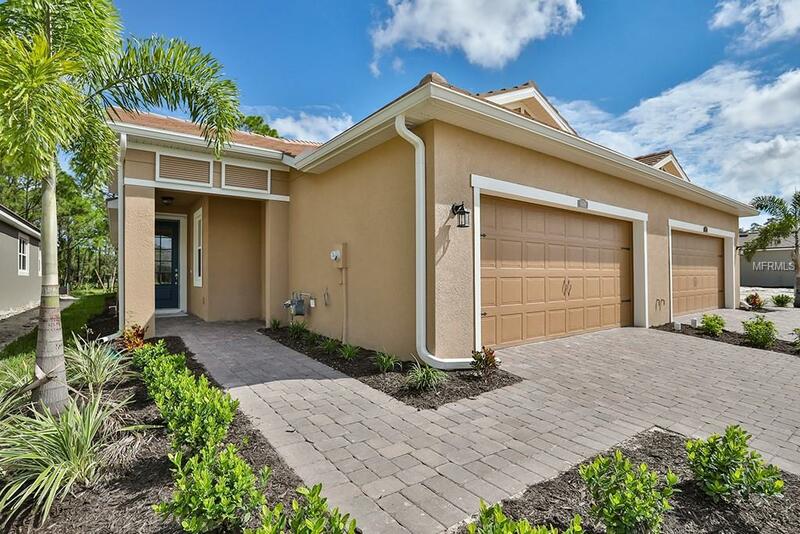 Community features an unbelievable clubhouse with yoga/fitness room, full time activities director, large pool, tennis, bocce and pickle ball courts, walking path and more. Great proximity to town and 75, come see why Sunrise should be your home!